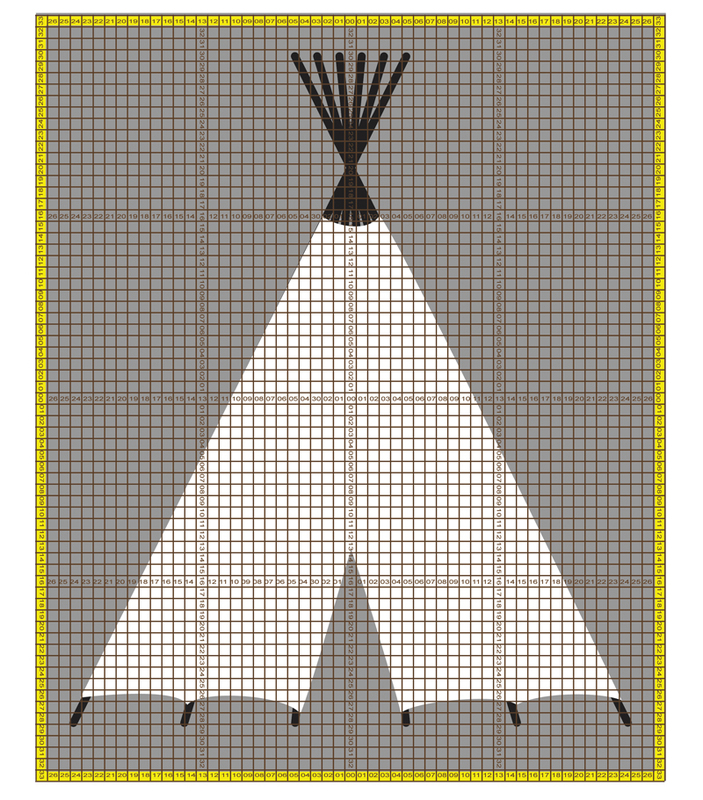 The image was tipi to represent the tents of Occupy. The tag line was: Commune. 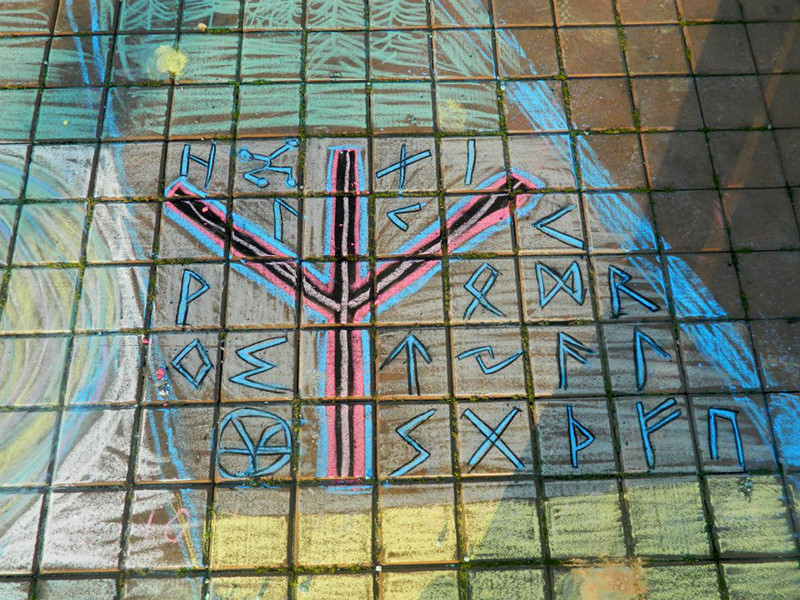 Dandelion’s requested this chalk theme. 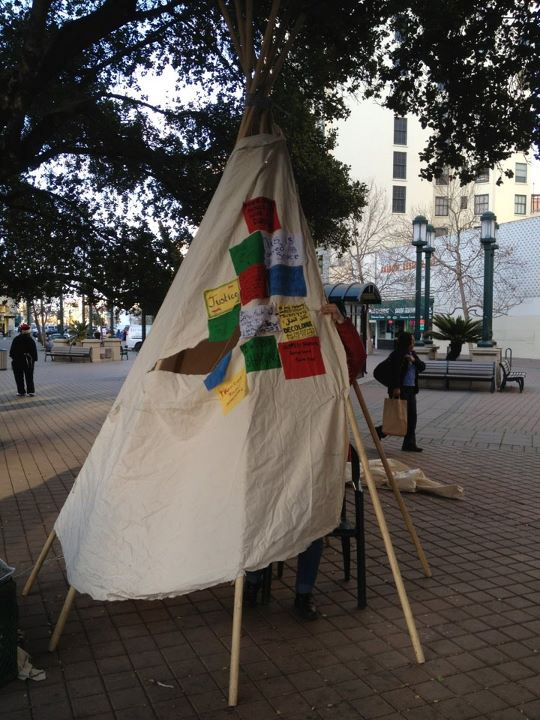 OPD had just removed the last, symbolic tent at the plaza, a lone tipi that had been erected. I designed a plain, white tipi to allow inter-activity. People colored it in with their own designs. 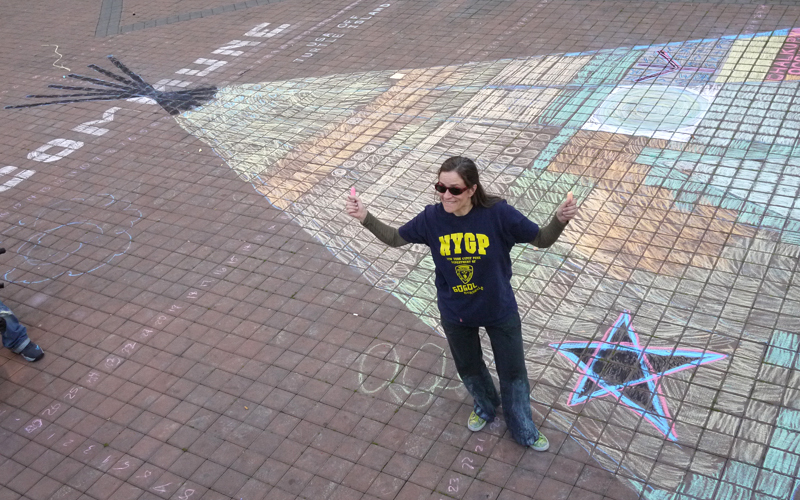 It seems like the interactive chalkupys are some of the most popular ones we do. This time, since the lines were straight and simple, I didn’t bother with the “Chuck Close” style mapping.